There are very large corporate green eco friendly sites out there that lack the community feel that I believe contributes to the enjoyment and benefit of a website. That is why I decided one of the first things that I needed to accomplish was to enable this site to be community oriented without going broke in the process. 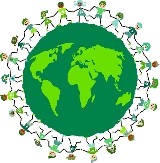 The foundation of the community on this site will be your Declaration of Eco Friendliness page, because we can use these Declaration pages to double as a type of "profile" on this site for each user. For example, if you have comments to add to any of the other pages on the site, whether it is about eco friendly lawn mowers, eco light bulbs, eco politics or eco flooring reviews and the page has submission capability, you may leave the address to your Declaration profile page at the end of your comments, so that other visitors will have the chance to get to know you via your Declaration profile page, rather than ONLY through your comment about a particular eco friendly product page. 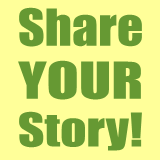 Here is your chance to share with the World your decision to go GREEN and publicly declare your eco friendly thoughts, ways, ideas, a photo, videos and your future intentions! A brand new webpage, almost like a "profile", will be created on this site with your personal Eco Friendly Declaration, so you have plenty of room to be creative and have some fun! Note: Click on the blue question marks to show TIPS. Include your best thoughts or a "summary" in the first couple of lines of text, as the title and these first two lines will be displayed in the "Other Visitor's Declaration of Eco-Friendliness" section on this page below. What made you feel that going green and becoming eco-friendly was the right thing to do? Why have you decided to go green from now on? Do you remember the Date and Time that you made this decision? Do you have plans to help raise the eco awareness of others? What do you feel that this will mean for the Earth? You will be able to update and edit your Declaration page! You may send friends and family to your page to rate and comment on your declaration also. Check out the Declarations of other users of the site. Get to know them. Maybe they will inspire some eco-friendly thoughts in you! Happy Tiffin provides unique, high-quality, stainless steel eco-friendly food containers. Going Green Was The Only Thing That Made Sense To My Kid & Me! Grace's Declaration of Eco Friendliness - Can I Go Green? How Green Is This, Can It Qualify As An Eco Friendly Declaration?